Hey, I’m glad you’re here today! I’ve got a fun project for you and I can’t wait to share it! Have you ever wished there was a little more personal, fun way to gift a gift card? 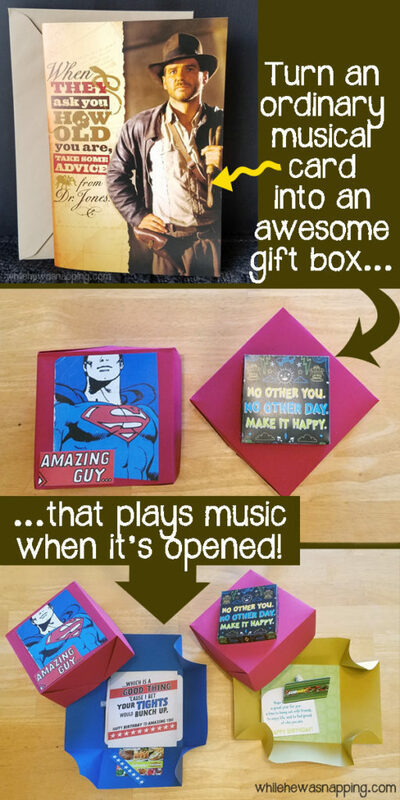 Well, what if I told you you can turn a musical card into a gift box that plays music when you open it? And it’s really pretty simple to do. Ready to give a gift card that won’t soon be forgotten? Let’s go! But gift cards and cash have a bad reputation of being thoughtless gifts. Wait, is there such a thing? It’s far from thoughtless, but there’s no denying that a gift card or cash can be less personal. If you want to up your gift card or cash giving game and put that personal touch right back into your gift, I’ll show you how. You’ll need a musical greeting card for the best results, but you can definitely cut out the musical part and just use a regular card too. Do you have someone in your life that is particularly hard to buy gifts for? Maybe more than one someone? I have two. My husband and my dad. These are the guys that if they want something, they go out and get it. If they can’t afford it, I sure can’t either. Truly, the best gift for them is a gift card that they can use when the whim strikes. But, gift cards can feel impersonal. No one wants their gift recipient to feel like their gift says, “Here’s something I picked up on my way here, HAPPY BIRTHDAY!” So, I worked to find a better way to give those hard-to-gift-to people in my life what they want and let them know that the gift really is from my heart. 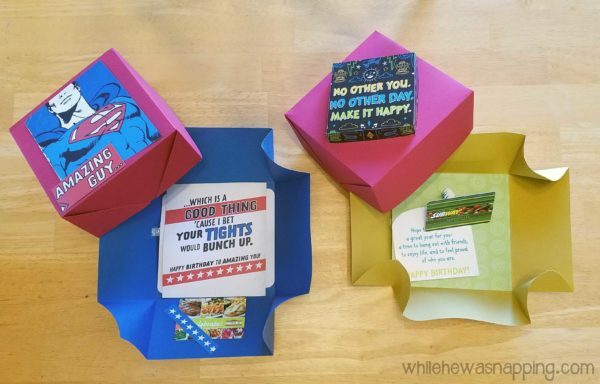 – Two 12″ x 12″ pieces of scrap book paper – card stock will make a sturdier box, I used card stock for the bottom and regular paper for the top. – Glue stick – a hot glue gun and glue sticks will work even better. Want a sneak peek at the whole project, check out how easy it is to make your own Musical Gift Box! 1. Take the first piece of your 12″ x 12″ paper (the card stock piece, if you’re using only one piece of card stock) and measure 3 inches in on all four sides with the ruler. You’ll want the outside of your box to be face down on the table. 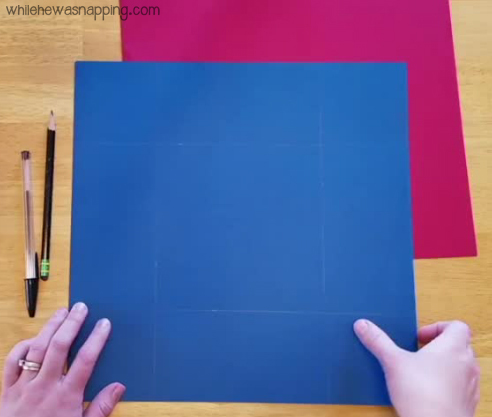 Mark three inches and then use the ruler to draw straight lines to form a grid-like pattern. This means the bottom of your box will be 6″ x 6″ and the sides will be 3 inches tall. 2. Use the pen cap or whatever blunt edge object you are using to score the paper on the lines you just drew. Fold on your score lines. Curl the corners into the box. Don’t cut or tape them though. These will help push your box open when you take the lid off and make the music play. Put the bottom of the box aside. 3. 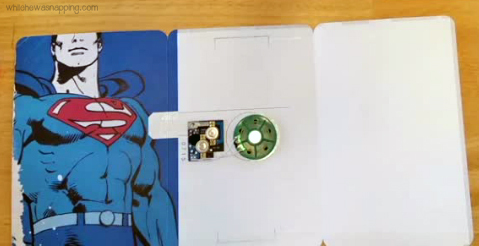 Take your musical card and unseal the inside of the card to reveal the music speaker and electronic board. Cut the plastic switch from where it is attached to the front of the card. Cut the front flap off of the card. 4. Cut the speaker and electronic board out of the song card. Be careful not to cut the wires. If you need to move the speaker closer to the electronic board, you can just pop it off the card back and then tape if back down. As long as you don’t damage the wires, it should still work. 5. Tape the little plastic piece you cut from the front of the card to the side of your card stock box with the clear tape. Use the craft knife to cut the tape along the edges of plastic piece. You’ll have to play with the placement of the speaker and electronic board to get it right. You want the plastic switch to interrupt the contact on the board when the box is closed, but to open the contact when the box pops open. Check out the step-by-step video for more direction on that. 6. Set the bottom of the box aside and take your last piece of 12″ x 12″ paper and measure and mark 2 and 7/8 inches in on each side. Create a grid-like pattern on the page with your measurements. It’s just like you did on the first piece, minus an eighth of an inch. This will help your lid fit on your bottom box piece better. 7. Score and fold on the measurements. This time fold the corners out and use the glue stick or a small dot of hot glue to secure the triangular flaps. Folding them out will keep anything from getting caught on the inside when you’re trying to get everything inside the box. Do this will all four sides. 8. 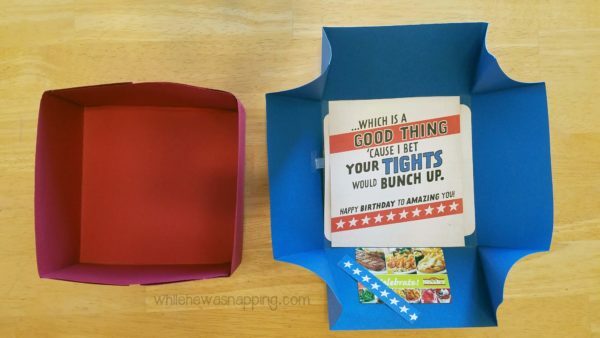 Use the inside and front of the song card to decorate the top and inside of your box. 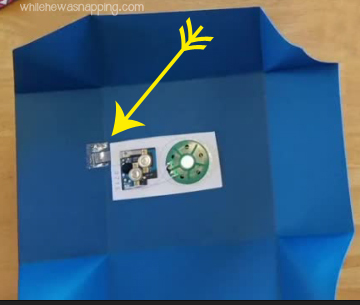 You can use another piece of 6″ x 6″ scrapbook paper to cover the speaker and electronic board or use the inside of the card to cover it. Just make sure you don’t tape or glue anything over the plastic piece that needs to move when the box opens so the music will play. 9. 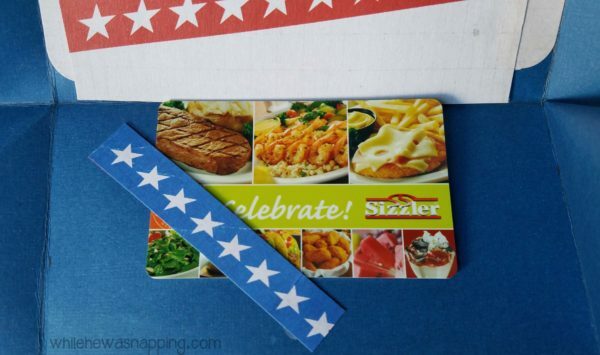 Find a fun way to attach your gift card so it isn’t sliding around loose inside the box. You can make a little spring for it to bounce on, or stick it on one of the flaps. Or use the gift card as your switch that makes the music play when it’s removed. Check out the video for more info on that. 10. Fold up the bottom of the box and stick a finger in each of the curled corners to hold it in place and slide the lid on top. Wrap it up and give it to your unsuspecting victim, er, recipient. 11. Bask in your awesomeness and know you’ll be giving the perfect gift! The art of card giving is NOT dead! We live in this time of instant gratification. With all the digital technology, we don’t often have to wait long to send and receive communication with friends and family, even when we are separated by hundreds or thousands of miles. But snail mail is still going strong. Send a song card to create a memorable moment. My kids (and myself!) love to get birthday cards in the mail. It’s a great way to let the special people in your life know that you were thinking about them, that you love them. A song card can help you express yourself with music. And, sometimes, music can speak louder than words. Let’s do this project together! 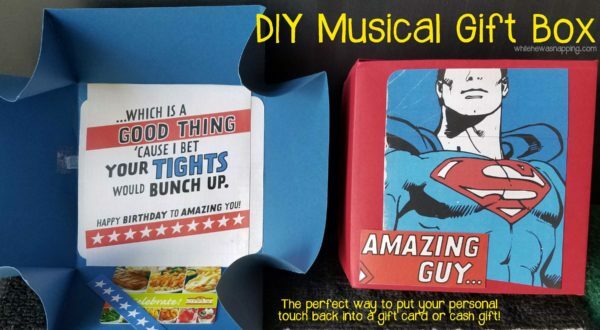 on creating your own DIY Musical Explosion Gift Box!